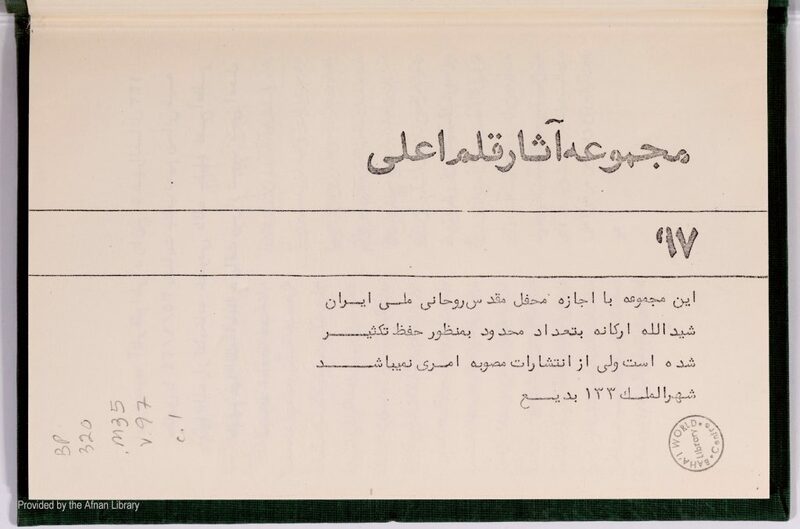 Description: Collection of Tablets of Bahá’u’lláh; includes Lawh-i Burhán (p. 72; p. 38 of PDF). Manuscript. 159 pp. of ms. (83 pp. of PDF).